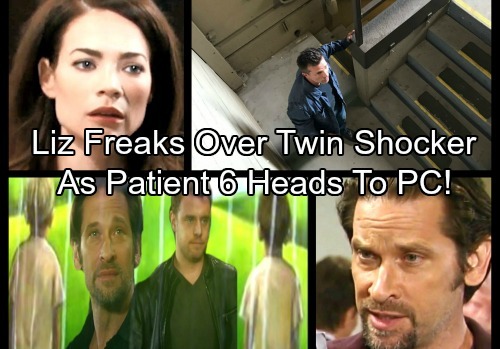 General Hospital (GH) spoilers tease that Franco (Roger Howarth) will struggle to stick to his plan. As time goes on, it’ll become harder and harder to hide the truth from Liz (Rebecca Herbst). Franco told her that the boy in the photo was just some kid from the neighborhood. That lie will certainly weigh on Franco’s heart. Andre (Anthony Montgomery) questioned Franco’s decision to keep Liz out of the loop on the real story. It’s clear that Franco has some issues he needs to address. Franco seems worried that stirring up too much trouble could cost him Liz. However, honesty is important in any relationship. Liz can’t be there for Franco if he continues to deceive her. Besides, Liz is pretty perceptive when it comes to her main squeeze. She can usually tell when something’s going on. If Liz determines that Franco’s keeping secrets, she’ll undoubtedly try to break down his walls. Next week, General Hospital spoilers state that Franco will make a decision. He’ll feel like Liz deserves to hear Betsy’s (Deborah Strang) real claims. Franco will apologize for waiting so long to confess. When it comes to anything that ties into his history, he can’t help but be nervous. GH spoilers say Franco will ultimately explain the twin situation. He’ll hope that Liz can understand why he kept it under wraps. Liz will be blown away when she hears this huge news. She may think Jason (Billy Miller) and Sam (Kelly Monaco) should get updates ASAP. Of course, Franco might want to keep them in the dark. The past can be overwhelming and dangerous. The last thing Sam and Jason need is another shocker to derail their lives. Franco and Liz will obviously debate this, but what will the outcome be? It’s possible that Liz will stick to her guns and urge Franco to spill it. Then again, Liz might back down and agree to let “JaSam” have peace. They surely deserve some happiness after all the chaos they’ve endured. Regardless, Liz will have a change of heart on October 10. Whatever she first decided will be tossed aside. It might be more exciting if Liz stayed tight-lipped. 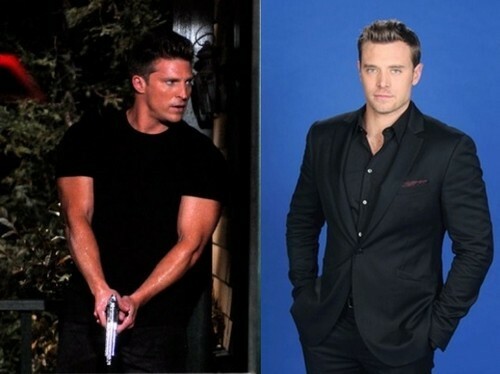 General Hospital fans don’t want Jason and Sam having any inkling of what’s to come! Either way, there’ll be some surprises. Even if Sam and Jason learn what’s up, Patient Six’s (Steve Burton) arrival will definitely catch them off guard. The next phase of this storyline should spark some jaw-dropping moments. We’ll keep you posted as other GH details emerge. Stay tuned to the ABC soap and don’t forget to check CDL often for the latest General Hospital spoilers, updates and news.